Quality SUP Rentals and Instruction. Come Stand Up Paddle with us! Enjoy the beauty of Summersville Lake worry free with a guided trip! Meet at Salmon Run, learn the basics of paddleboarding and then be guided around the lake to all the best spots. Paddle through a waterfall, jump off rocks, and enjoy a swim surrounded by giant cliff walls! Paddle surrounded by some of the most beautiful waterfalls in west virginia, kanawha falls. 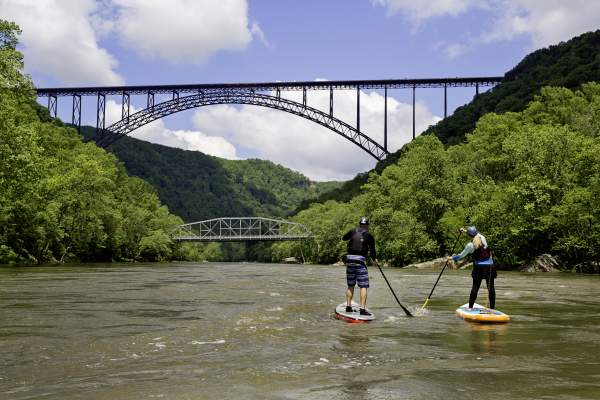 learn the basics of SUP then be guided on the kanawha river at the base of the falls. take a dip, play some games, or just take in the beauty. 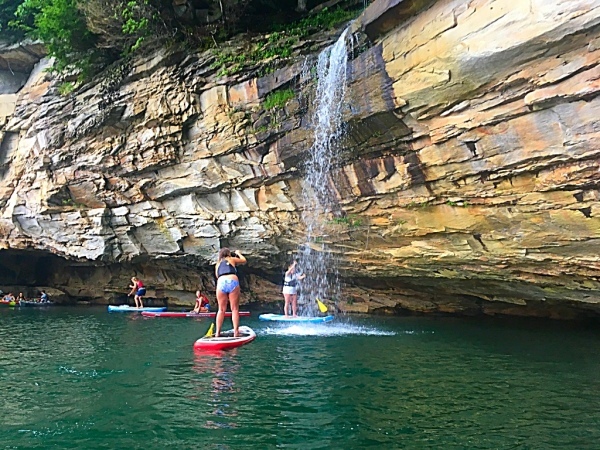 This tour is beginner friendle with flat water to paddle away from the crowds of Summersville Lake. 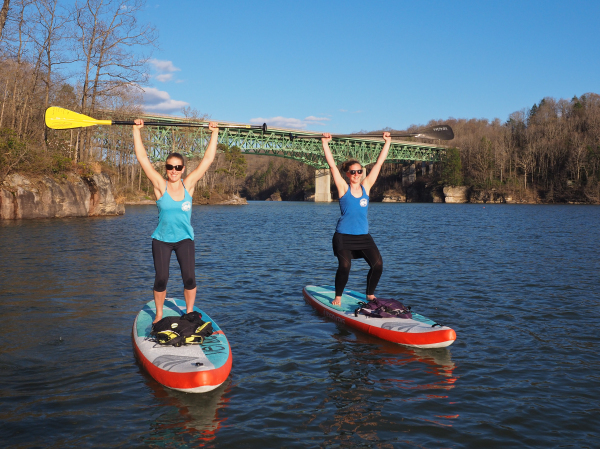 ​Enjoy the stunning beauty of the New River and the famous New River Gorge Bridge from a stand up paddleboard! This unique trip allows you to paddle on a calm section of the river; great for first time or advanced paddlers. The trip attains up a calm pool to the base of a small rapid. Choose your adventure – stick to the calm water or give the moving water a go! This trip is offered through out partner, River Expeditions. Please use the button below or call 304.574.2827 to book with River Expeditions! We start off reviewing river safety and hazards then move right into the calm pool at Stone Cliff. We will review SUP manovours before heading out into the current. Once we are ready we will head down stream! You will be able to enjoy two different shoals and stunning scenery of the New River on our 1.5+ mile journey downstream. Join the only business in the area to offer intro to white water paddleboarding! Tours are led by an experienced and certified sup instructor with the top quality equipment. If you're trying Paddleboarding for the first time or just want to enhance your skills, this class is for you! Beginner or intermediate paddlers can work on basic to advanced stand up paddling skills, strokes, and techniques in the controlled setting of Summersville Lake. This activity is perfect for the whole family. Instruction courses are led by an experienced and certified sup instructor with the top quality equipment. This course is given by an ACA Certified SUP Instructor. Learn the essentials of SUP from the Level 1 and Level 2 ACA SUP criteria. Work on safety, strokes, stances, techniques, and gain knowledge of Paddling! This course will give you an ACA Level 1 and 2 SUP Skills course card.